Tips for harvesting your own sustainably grown medical weed. Spring has sprung, and if you're thinking about growing some medical cannabis this year, it's time to get cracking. Growing pot organically in one's backyard can be a safe, rewarding, affordable way to obtain the botanical remedy. But coaxing decent medicine from the soil takes plenty of time and attention to detail. First off, you're going to need to get legal and learn about the plant. The California Compassionate Use Act of 1996 allows any state resident with a doctor's recommendation to grow medical cannabis for personal use. State guidelines call for a maximum of twelve immature or six mature plants (but check local cultivation ordinances). Oakland allows home-growers a maximum of twenty plants, while Berkeley allows ten. But Concord has banned all outdoor medical pot cultivation, and the City of Martinez may vote to do so this week. Next, think about timing. Cannabis is an annual flowering bush that goes into the ground after the last spring rains. It grows all summer long in a process called "vegetation" until the plant kicks into "flowering" mode, wherein the female flowertops, called "buds," produce large amounts of psychoactive resin. 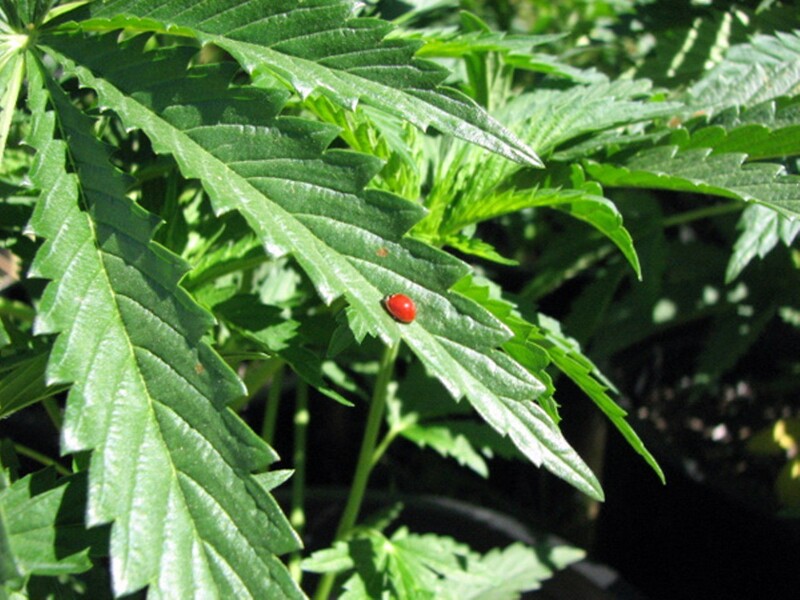 Pot is harvested before the cool, damp autumn begins and mold and mildew ruin the buds. Chris Van Hook, a cannabis cultivation expert who certifies organic farms as "Clean Green," said mid-April is not too late to start a crop, but "certainly it is time to get moving." Bone up on your plant knowledge by reading Ed Rosenthal's Marijuana Grower's Handbook. You can purchase seeds online and germinate them in tiny cups of soil on a sunny windowsill. Jorge Cervantes, a former High Times cultivation editor and a luminary in the weed world, recommends looking into "feminized" and "auto-flowering" varieties of seeds, as you won't have to identify and remove the males, and the plants will automatically kick into flowering mode at the end of their short, 75-day lifecycle. 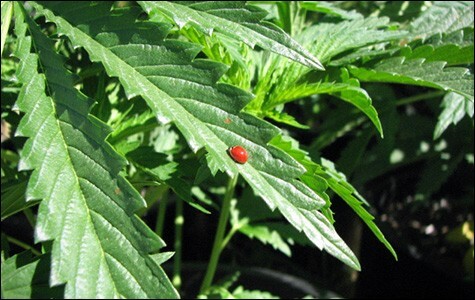 Cuttings from cannabis plants — called "clones" — can be tricky to plant outdoors. Often they've been under indoor lights 18 to 24 hours a day, and planting them outdoors in the spring tricks them into thinking it's fall. They flower early and are ruined. Another chief concern for both urban and suburban areas is security. "Of the top three issues a grower is likely to encounter in Oakland, security is number one," said Van Hook. Pot plants can grow five- to fifteen feet tall, and be quite odiferous before harvest. Since pot can fetch upward of $1,000 to $2,000 per pound, it's an attractive target for thieves. Your garden needs to be hidden from the street and neighbors. You can also make a pot plant to grow sideways, low to the ground, amid other partner plants, Van Hook said. Consider a screened, locked fence, or maybe even a motion-sensitive light. Plants can grow directly in the ground using soil amended with compost, fertilizer, and mulch, or they can grow in raised beds or flower pots, much like other crops. Soil needs to be nutrient rich, aerated, and have good drainage. You also need to pick a spot that's going to get lots of direct sunlight (at least six hours per day), and good air circulation, but the area can't be too breezy. Sustained, dry wind can dehydrate a pot plant in a day. For soil, amendments, and fertilizer, "it's really important to read the ingredients and look to see if something is either OMRI- [Organic Materials Review Institute] listed or carries the Clean Green logo," Van Hook said. The website for Clean Green (CleanGreenCert.com), an organization that is dedicated to sustainable agriculture, contains a list of organic soils, fertilizers, and amendments, or you can call or email the group for a full list. Dominion, Sanctuary Soil, and Bison gardening products are among those recommended. You can also start your own compost pile and use finished compost to boost the nutrient levels in the soil. GreenBicycles.com offers a popular recipe for organic compost tea and other great growing information. Pot likes a soil pH of 6.5, so use lime to raise pH or rock sulfur to lower it, Cervantes said. Germinate seeds indoors in a sunny windowsill in one-inch-by-one-inch cubes filled with mild soil. Transfer them to four-inch-by-four-inch cubes after they are well-rooted and then transplant them to your yard, raised bed, or three-gallon bucket, just like you would tomatoes. A heavy layer of mulch on top keeps soil intact and moist. Check plants weekly for pests and fungal damage. Inspect leaves for small spots — which can indicate spider mites — or bites. Pluck caterpillars and snails. Research partner plants like marigolds, which can decrease pests. Check out Ed Rosenthal's Protect Your Garden for dozens of simple, organic pest solutions. Rosenthal's organic line of Zero Tolerance pesticides and fungicides also treat the most common issues, including spider mites, aphids, powdery mildew, and gray and white mold. Your pot is ready to harvest when the microscopic, resin glands are mostly clear, with about 30 percent cloudy or amber-colored gland heads. Chop the flower tops and dry them in a clean, cool, arid location until the stems break with an audible snap. Well-dried, cured bud can last for more than a year inside clean, sealed mason jars kept in a cool, dark place. You can ask Cervantes growing questions on his website MarijuanaGrowing.com. Or get an early jump on the 2015 season with his new book, Cannabis Encyclopedia, which comes out in September.